Hello, my name is Jaedyn and I am addicted to coffee- but I am currently on the track to be coffee-free! I know this is a huge problem in college, so I’m sharing with you my way to kick the habit once and for all. Replace the caffeine with something else such as “Awake” Caffeinated Milk Chocolate. This allows you to get your caffeine from somewhere else and in smaller doses. To be honest, when I started to write this I noticed I was tired and took out my bar I’ve been saving. After 1 and a half squares, I’m more awake (and for less money than coffee)! I get mine for $2 a bar at my campus’ bookstore. You could also drink tea instead of coffee- but make sure it’s caffeinated, and don’t add too much sugar! 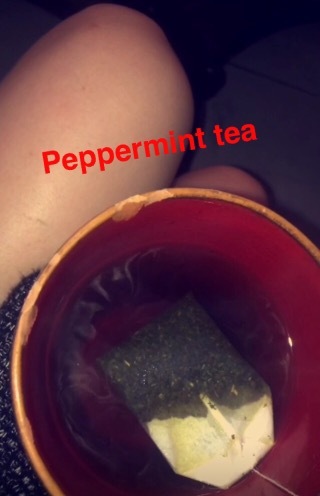 This photo from my Snapchat story features Private Selection’s “Peppermint Herbal Tea”. 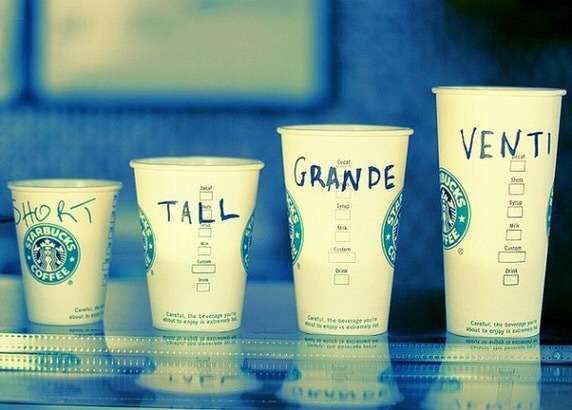 Go from a ‘venti’ to a ‘grande’ to a ‘tall’ to a ‘short’ over the course of 4 weeks. Doing this will slowly get your body used to drinking less and less coffee a day. I DO NOT reccomended going “cold turkey”. I tried this as one of my first attempts to quit and it triggered my chronic migraines and I had to take so much ibuprofen! Plus- it made me super cranky. This is not a affiliated or sponsored post. All opinions are my own and I was not paid to say anything about the products mentioned. Previous Post No Job in the Summer, but I’m Making Bank. How?